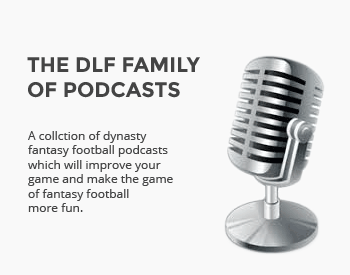 We got the DLF staff together for a two-round superflex rookie mock draft. The 2018 rookie class is set and I couldn’t wait to get a group of our writers together for some mock drafts. Unlike recent years, there is basically no consensus order, even in the early portion of rookie drafts. Expect every mock draft or set of rookie rankings to be quite different, at least until we learn more information at next month’s NFL Combine. With disagreement comes value and it is never too early to begin tracking the value of your favorite rookies. You might be thinking that you just read this exact same article. But this mock draft included once very important change from our previously posted one. This is based on a 2QB format. While there are questions about each of the quarterbacks in this class, as a super-flex dynasty player, I am encouraged by the volume of solid signal-callers entering the league this year. Just as in the previous rookie mock draft, Arizona State’s Harry is the top pick. While this would appear to show a consensus, that is actually not the reality this early in the process. At least three players have a claim to be the top pick and that grows even larger in the superflex format. It didn’t take long for the first quarterback to come off the board as Ohio State’s Haskins is picked second overall. This looks like one of the weakest quarterback classes in many years and the scarcity of signal callers could leave both NFL team and fantasy owners to reach for the few solid candidates. I have the 1.01 and 1.02 in a 14 team super-flex and those are (were) the two guys I have targeted at those picks……until Kyler declared his commitment to football…..
Now thinking I may take Haskins and Kyler back-to-back to pair with Mahomes and hopefully, one hits and I am set for a while at QB. Ive never played in a superflex league, but I’m pretty surprised to see this many qbs so early. Haskins as a top 5 pick, fine. But I wouldnt want anything to do with the rest of the bunch. How many qbs would you usually roster in a 12 team superflex league? My league is 14 team super-flex, if you have two starters, you have an enormous advantage. In my SF leagues, we have fairly large rosters (30) and there are around 45-50 QBs rostered at anytime. What does the rest of your team look like? In SF, I would absolutely take the top 2 QB’s and call it a day. Why worry about the QB spot next year in the first round when you don’t have too. The trade value on QB’s in SF is insane as well. Don’t let the allure of a WR overtake logic on value. The QB is far more valuable in those formats.